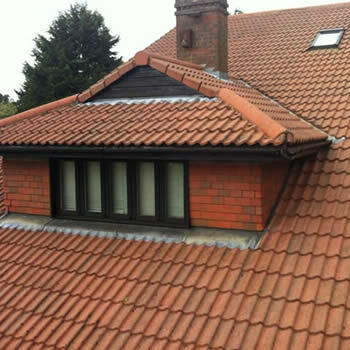 We offer a Nationwide Roof Cleaning service through the UK. 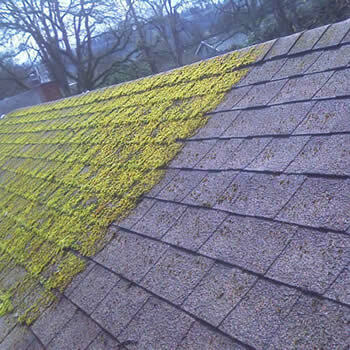 If your roof is covered in moss, dirt, and grime then we have the perfect solution. Like any part of your home roofs have a habit of getting dirty. 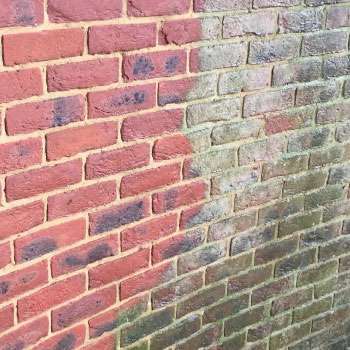 Moss and algae not only look unsightly it can cause other problems such as downpipes and gutters and become blocked. What’s more, the extra weight of wet moss can cause stress on the tiles. 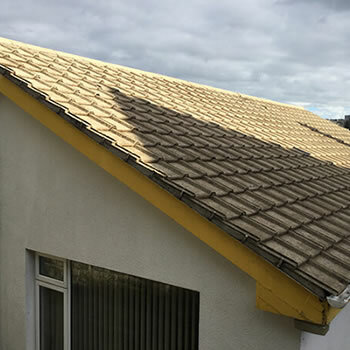 During the winter months the freeze and thaw process and can cause tiles to break and can cause the premature degradation of your roof and could cost you thousands in repairs. 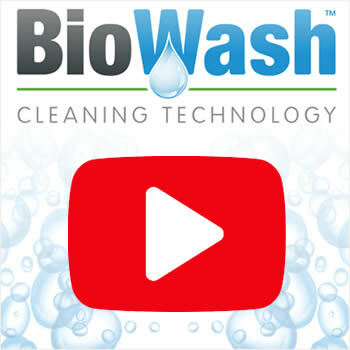 Biowash™ Cleaning is fast, safe, effective and affordable. It will improve the look of your home and can add value to your property. 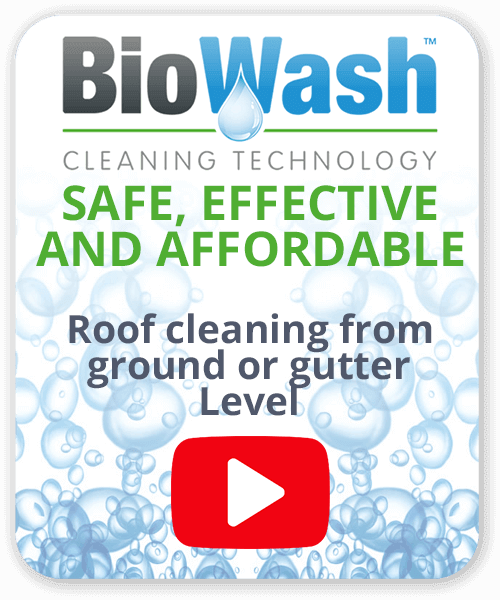 The unique Biowash™ system allows dirt, algae, lichens, and moss to be cleaned from the roof without risk of damage. It combines the latest in modern cleaning equipment and powerful cleaning products, which enables roofs to be cleaned safely from the ground or from the gutter level. Using the specialist non-pressure equipment you can be assured there will little disturbance to you and your neighbours. The process involves a pre-treatment, then the full clean and finally a protective biocide treatment to inhibit regrowth. By working with Professional Companies who are ‘Biowash™ Authorized Agents’ you have the peace of mind of knowing that you are dealing with an experienced cleaning company who have a proven track record in the industry. For more information or for a no obligation Free Survey and quote call us or complete our online enquiry form.